Mastering of film and TV shows. Coordinate special elements for DVD Mastering. Projects: Harry Potter, Million Dollar Baby "Charlie & The Chocolate Factory, Departed and many more. I joined the JOHN WELLS team in 1998 to work on two pilots, TRINITY and ADVERSARIES and continue to work on ER. 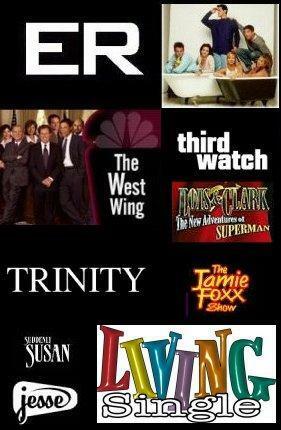 TRINITY had a short run but we went directly to another new series that turned out to be a hit... it was WEST WING. But instead of remaining with the show, I felt it was time to take advantage of the feature offers that I was getting. And even though I miss the JWP gang, it was the right choice. I hope that someday I can work with the JWP gang again. After 6 years in Corporate Services at Warner Bros, I decided that it was time I return to my first love-- PRODUCTION. Warner Bros. offered me a chance to stay with the company and get back into the production side. I joined the TV division one week before the fall season when 19 new shows were to premiere. Before that year, Warner Bros. produced only a couple of shows and always shot them on Friday nights. All 19 shows shot the first week on Friday night and it proved to be a huge disaster. Thousands of audience members arrived at the WB lot. There was not enough parking. People were parking blocks away and walking and even parking in neighbors yards which caused a huge uproar from the people that lived near the Lot. It was such a huge problem that we made the front of the LA TIMES. It was a lot of hard work but we finally got things under control and tried to settle in..... that would not happen until the 2nd year. The success of FRIENDS and ER was so huge that all kinds of issues popped up. Suddenly we had new security issues as well as dealing with the publicity. I just remember how everything seemed to change overnight. With 19 shows you can image how crazy it was.... but we had fun. After moving to LA to pursue an acting career, I was offered a job to work at WB. I figured I would work there till I got on my feet and go back to acting. With the merger of TIME, LORIMAR and WARNER BROS, I was at the right place at the right time and moved up in the company quickly. I decided to stick it out and see where it lead. It turned out to be a great opportunity.